Rate this project After two years of development, the Skolelinux project has released the first release candidate of the Skolelinux distribution: "New Skolelinux CD image release candidate 1 (rc1). Major changes since the previous image: improved HW detection support; updated translations; removed manual partition to make sure the automatic partition is selected automatically in the normal case, this should be reverted when the selection bug is fixed; changed user admin module to webmin-ldap-user-simple; changed webmin authentication method to PAM, removing the need for a separate user database in webmin; upgraded installed kernel to 2.4.26-1-386...." The full changelog. Download: skolelinux-i386-rc1.iso (648MB). Hot on the heels of the new Debian release comes Debian Edu/Skolelinux 9, a new version of the project's Debian-based distribution tailored to educational institutions, computer labs and school networks. Donald Norwood announced the release yesterday: "The Debian Edu developer team is happy to announce Debian Edu 9, the first Debian Edu / Skolelinux release based on the Debian 9 'Stretch' release. 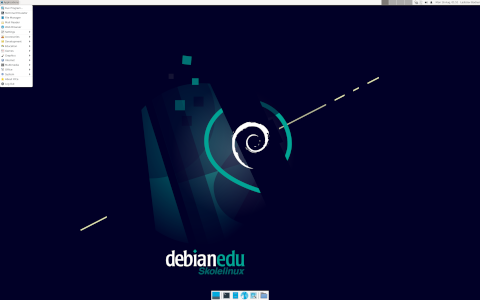 Debian Edu, also known as Skolelinux, is a Linux distribution based on Debian providing an out-of-the box environment of a completely configured school network. Immediately after installation a school server running all services needed for a school network is set up just waiting for users and machines to be added via GOsa2, a comfortable web interface. ... These are some items from the release notes for Debian Edu 9: Plymouth is installed and activated by default, except for the 'Main Server' and 'Minimal' profiles; Icinga replaces Nagios as monitoring tool; LTSP now uses NBD instead of NFS for the root filesystem; a Japanese translation of the manual is now available." Here is the full release announcement. Download (SHA256) options include a 5.5 GB file meant for USB devices as well as a single-CD "netinstall" image: debian-edu-9+edu0-USB.iso (5,578MB, pkglist), debian-edu-9+edu0-CD.iso (647MB). Laura Arjona Reina has announced the release of a new major version of Debian Edu/Skolelinux, a Debian-based distribution tailored to educational institutions, computer labs and school networks. Labeled as version 8+edu0, this is the project's first stable release based on the Debian 8.0: "The Debian Edu developer team is happy to announce Debian Edu 8+edu0 'Jessie', the latest Debian Edu / Skolelinux release, entirely based on Debian 8 update 8.5. Upgrades from previous beta releases of Debian Edu 'Jessie' to this release are possible and encouraged. New features for Debian Edu 8+edu0 'Jessie': if a system is installed via network boot the firmware for the hardware present is now installed automatically; MATE 1.8 is now available as optional desktop environment; in addition, a Dutch translation of the manual is available, and the Norwegian Bokmål one is now complete." Read the rest of the release announcement which provides several real-life usage examples from schools in Switzerland, Germany and Austria. Download (SHA1) options include a 5 GB installation DVD/USB image and a much smaller CD/USB "netinstall" file: debian-edu-8+edu0-USB.iso (4,996MB, pkglist), debian-edu-8+edu0-CD.iso (653MB). 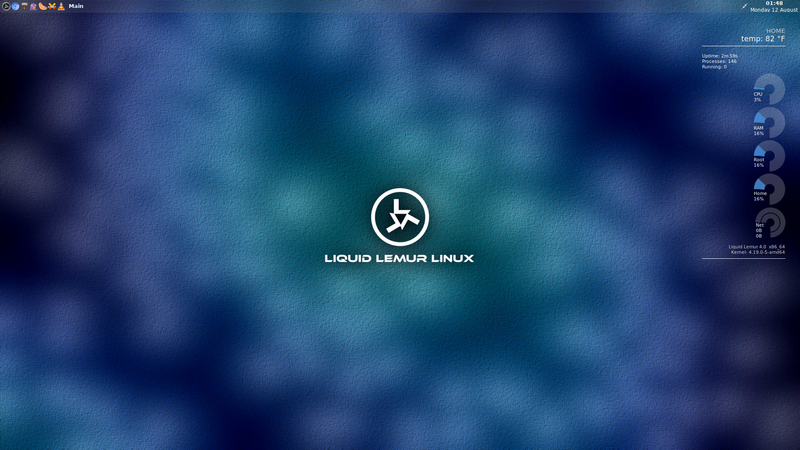 Holger Levsen has announced the availability of the first beta build of Skolelinux 8.0, the upcoming stable release of the Linux distribution known also as "Debian Edu" and designed for schools. This is the project's first test release based on the new Debian "Jessie". From the release announcement: "The Debian Edu / Skolelinux project is pleased to announce the first beta release of Debian Edu 'Jessie' 8.0 which, for the first time, is composed entirely of packages from the current Debian stable release, Debian 8 'Jessie. We expect to make a final release of Debian Edu 'Jessie' in the coming weeks, timed with the first point release of Debian 'Jessie'. Upgrades from this beta release of Debian Edu 'Jessie' to the final release will be possible and encouraged! Debian Edu - sometimes also known as 'Skolelinux' - is a complete operating system for schools, universities and other organisations. Through its pre-prepared installation profiles administrators can install servers, workstations and laptops which will work in harmony on the school network." Download the full installation DVD/USB image from here: debian-edu-8.0+edu0~b1-USB.iso (4,996MB, SHA1, pkglist). Petter Reinholdtsen has announced the release of Skolelinux 7.1, a Debian-based distribution (also known as "Debian-Edu") for schools: "The Debian Edu developer team is happy to announce Debian Edu 7.1+edu0 'Wheezy', the sixth Debian Edu / Skolelinux release, based on Debian 7, which has been updated and carefully improved compared to the previous release while keeping its unique feature set and ease of maintainability. Installation changes: new version of installer; the DVD image was dropped, instead we added a USB Flash drive / Blu-ray disc image, which behaves like the DVD image, but is too big to fit on a DVD. Software updates: Linux kernel 3.2.x; KDE Plasma 4.8.4, GNOME 3.4, Xfce 4.8.6 and LXDE 0.5.5; Iceweasel 17 ESR web browser; LibreOffice 3.5.4; LTSP 5.4.2; GOsa 2.7.4; CUPS printing system 1.5.3; GCompris 12.01 educational toolbox; Rosegarden 12.04 music creator; GIMP 2.8.2 image editor...." Read the rest of the release announcement for additional information. Download: debian-edu-7.1+edu0-CD.iso (655MB, SHA1), debian-edu-7.1+edu0-USB.iso (5,485MB, SHA1). Petter Reinholdtsen has announced the second beta of Skolelinux 7.1, a distribution also known as "Debian Edu": "The second 'Wheezy'-based beta release of Debian Edu was wrapped up today, slightly delayed because of some bugs in the initial Windows integration fixes. This is the sixth test release based on Debian 'Wheezy'. Basically this is an updated and slightly improved version compared to the 'Squeeze' release. Software updates: added SSH askpass packages to default installation to ensure SSH work also without an attached tty; add the command-not-found package to the default installation to make it easier to figure out where to find missing command line tools. Other changes: adjusted the USB stick ISO image build to include every tool needed for desktop=xfce installations; adjust thin-client-server task to work when installing from USB stick ISO image...." Read the rest of the release announcement for more. Download: debian-edu-7.1+edu0~b1-CD.iso (655MB, MD5). Petter Reinholdtsen has announced the availability of the initial public beta of Skolelinux 7.1, a distribution also known as "Debian Edu": "The first "Wheezy"-based beta release of Debian Edu was wrapped up today. Debian Edu, also known as Skolelinux, is a Linux distribution based on Debian providing an out-of-the box environment of a completely configured school network. Software updates: switched roaming workstation profiles from wicd to NetworkManager for network configuration, as wicd didn't work any more; changed version numbers of patched gosa and libpam-mklocaluser packages to make sure our locally-patched versions will be replaced by the official packages when they are released from Debian; added Bluetooth tools to the default desktop; added tools for sharing the desktop on KDE; added Valgrind to the default installation for easier debugging of crash bugs...." Read the rest of the release announcement for a full changelog. Download: debian-edu-7.1+edu0~b0-CD.iso (655MB, MD5). Petter Reinholdtsen has announced the availability of the initial alpha build of Skolelinux (a project also known as "Debian-Edu"), a distribution designed for schools and based on the upcoming release of Debian GNU/Linux 7.0: "The Debian-Edu / Skolelinux project is still going strong and made its first 'Wheezy'-based release today. This is an updated and slightly improved version compared to the 'Squeeze release'. Software updates: everything which is new in Debian 'Wheezy', including Linux kernel 3.2.x, KDE 4.8.4, GNOME 3.4 and LXDE 4 desktop environments (KDE is installed by default), Iceweasel web browser 10, LibreOffice 3.5.4, LTSP 5.4.2, GOsa 2.7.4, CUPS print system 1.5.3 GCompris educational toolbox 12.01, Rosegarden music creator 12.04, GIMP image editor 2.8.2, Celestia virtual universe 1.6.1, Stellarium virtual stargazer 0.11.3, Scratch visual programming environment 1.4.0.6...." Read the rest of the release announcement for further information and related links. Download: debian-edu~7.0+edu0~a0-CD.iso (651MB, MD5). Petter Reinholdtsen has announced the release of Skolelinux 6.0.4, a Debian-based specialist distribution for schools, also known as "Debian Edu": "The Debian Edu Team is pleased to announce the release of Debian Edu 'Squeeze' 6.0.4+r0. Debian Edu (aka 'Skolelinux') is a Debian Pure Blend specifically targeted at schools and educational institutions, and provides a completely configured school network environment out of the box. It covers PXE installation, PXE booting for diskless machines, and setup for a school server, for stationary workstations, and for workstations that can be taken away from the school network. Several educational applications like Celestia, Dr. Geo, GCompris, GeoGebra, Kalzium, KGeography and Solfege are included in the default desktop setup. Besides including everything provided by the fourth update of Debian 'Squeeze' (6.0.4), this new release of Debian Edu introduces some interesting improvements." Continue reading the release announcement to learn more. Download the dual-arch (i386 + amd64) installation DVD image: debian-edu-6.0.4+r0-DVD.iso (4,486MB, SHA1). Petter Reinholdtsen has announced the availability of the first alpha release of Skolelinux Linux 6.0.0, a distribution designed for schools and based on Debian "Squeeze": "This is the second test release based on Squeeze. The focus of this release is the thin clients and the diskless workstation setup. Changes compared to alpha 0 and 'Lenny' versions: everything from Debian 'Squeeze'; new version of Debian Installer; added code in the installer to select suggested profile combinations by default based on the detected environment; PXE boot setup now works when installing from the DVD; new tool notify-local-users to send desktop notification to all logged-in users on a machine; disable the idle job and user killer for roaming workstation profiles; remove all hard -oded settings on workstations." See the rest of the release announcement for full details. Download the multi-architecture installation DVD image from here: debian-edu-6.0.0+edua1-DVD.iso (4,478MB, MD5).